February is the month of love but I want to show you that it can be done locally and on a budget whilst supporting local businesses in the area. Everything you need for Valentine's Day is right on your doorstep, and you can surprise your loved one this Valentine's Day with something super special and unique from just around the corner. Here are a selection of my gift ideas if you're lacking inspiration, this might help give you an idea of where to find the perfect gift this weekend, in time for Thursday 14th February - by the way, that's this Thursday! 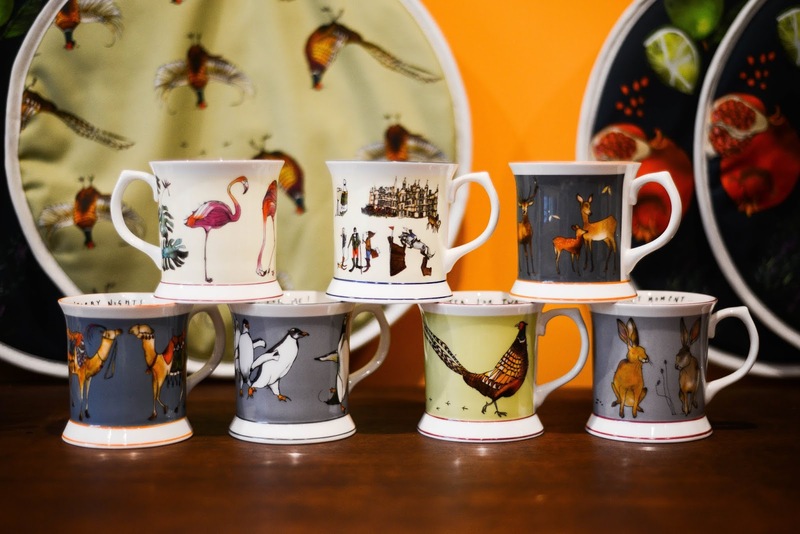 With everything from chocolates to chopping boards, Goodwin & Belle in Uppingham will have something perfect for the lady or gent in your life this Valentine's Day. 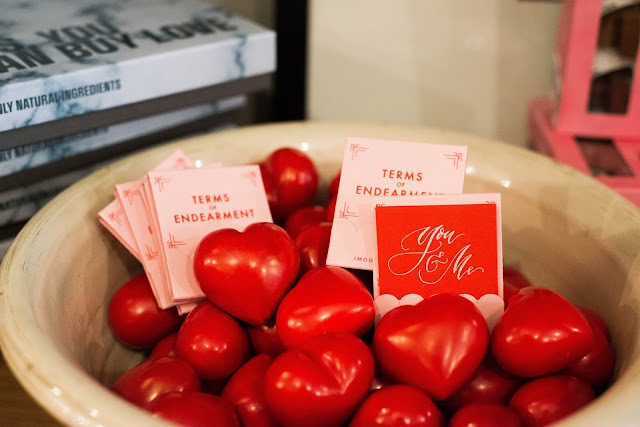 I particularly fell in love with these 'Terms of Endearment Notes' which are perfect to pop in a Valentine's Card to show your loved one how special they are. It has been announced that from Friday 26th April 2019, Uppingham's only bank, Barclays is set to close. 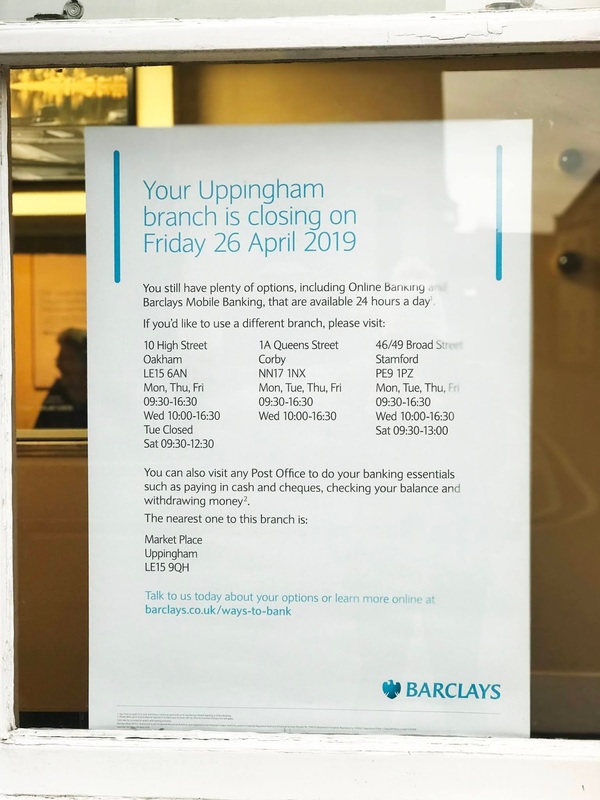 Leaving one Barclays bank left in Rutland on Oakham's High Street. 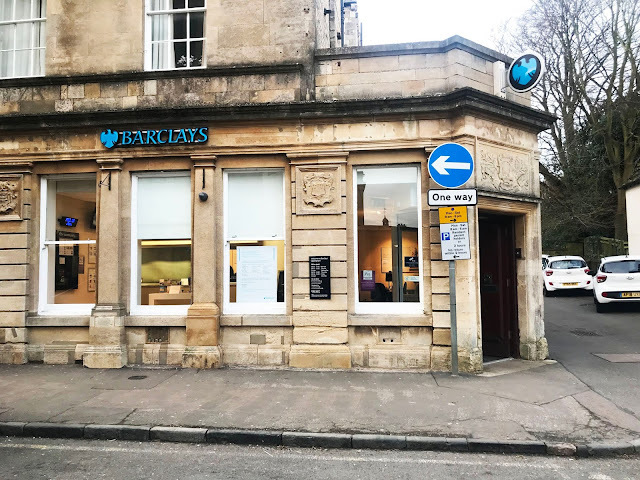 From April 2019, Barclays in Uppingham will close. If you're a Barclays customer, your local branches are now Oakham, Stamford and Corby. 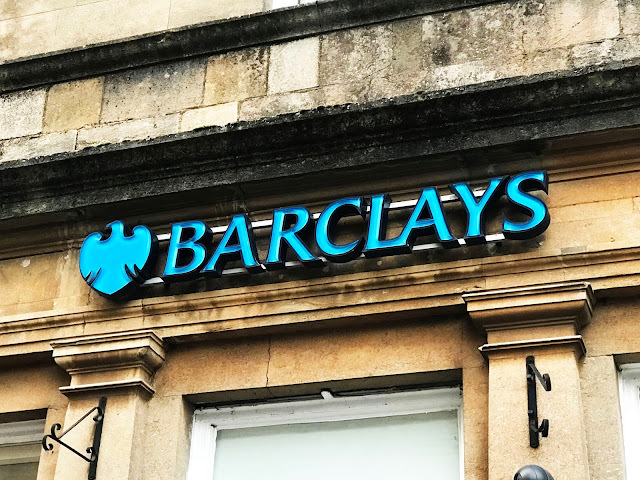 While banking services will be available over the counter at The Post Office, we'll also lose the ATM at Barclays on High Street West meaning the quick cash withdrawal locations will be Budgen's, COOP, McColls, One Stop and the Market Place ATM. The branch on High Street West will close on Friday 26th April. The Barclays poster encourages customers that 'there are still so many ways to do your banking essentials - in person, online and over the phone - or you can visit your local Post Office'. A poster of the news sits in the window of the branch. Leave your comments on our Facebook Post here! Find out more about banking essentials at The Post Office here. Find out more about Uppingham Barclays branch closure here. From sketching friends and families houses to a vast retail collection, local lady Katie Cardew has taken the illustration world by storm with her unique designs, bold colour combinations and her undeniable talent. Back in 2013, Katie Cardew Illustrations began with a stall at a Christmas fair in Stamford. 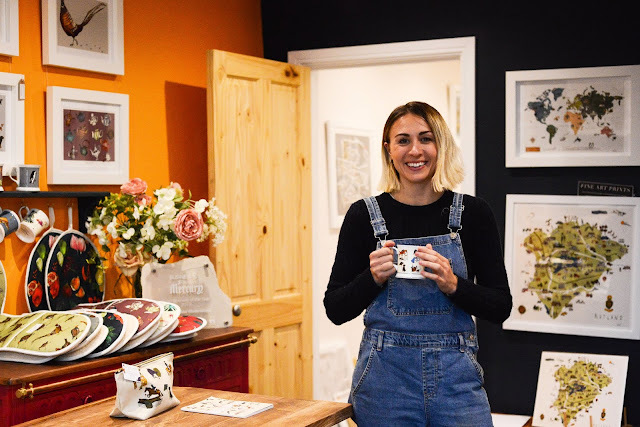 Just five years later, Katie has over 15 home, decor and giftware collections, she hosts illustrations workshops, designs bespoke and commercial commisions for many local and national businesses, as well as being runners-up for 'Best Stand' at Burghley Horse Trials 2018. The collections include everything from fine art prints to mugs, placemats to notebook and everything in between. Each range can be purchased online and at many fairs, but they are also stocked locally at Fords of Oakham and Gates Garden Centre to mention a few. Katie of Katie Cardew Illustrations in her Kings Cliffe studio. 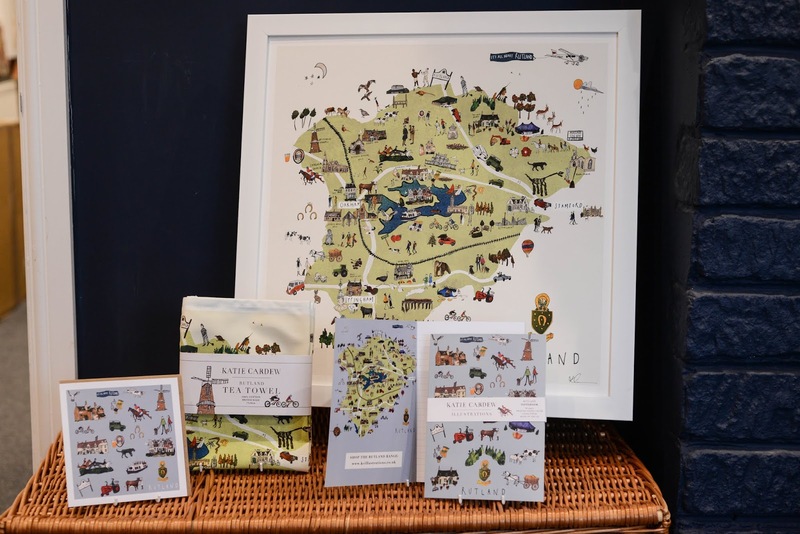 Earlier this year, Katie unveiled her latest map creation, The Rutland Map and the county went crazy! The announcement was broadcast on Rutland Radio asking members of the public to submit suggestions of what Katie should include on that map and what a fantastic response it had! 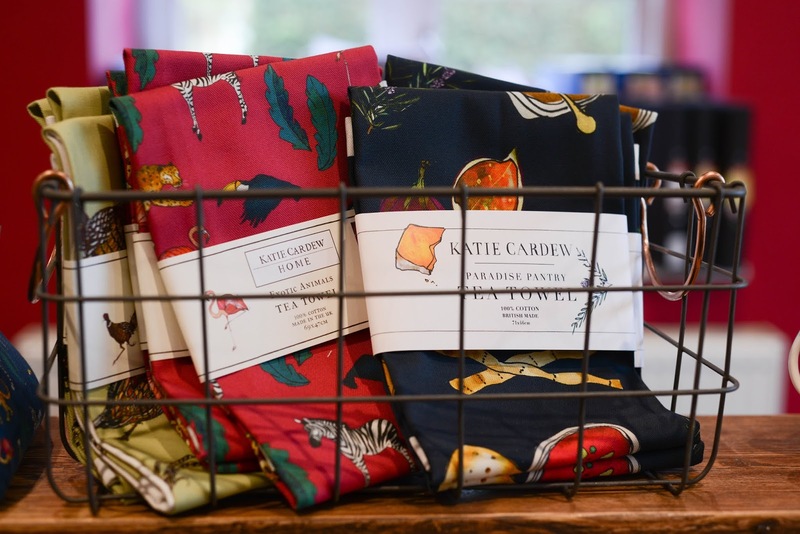 I met with Katie at her studio in Kings Cliffe to talk about all-things Cardew and find out more about the women (and family) behind the business. Thanks for inviting me to Katie Cardew HQ to see where all the illustration magic happens! If the blog readers have yet to hear about what you do, please tell us all about the Katie Cardew brand? Katie: A pleasure to have you! 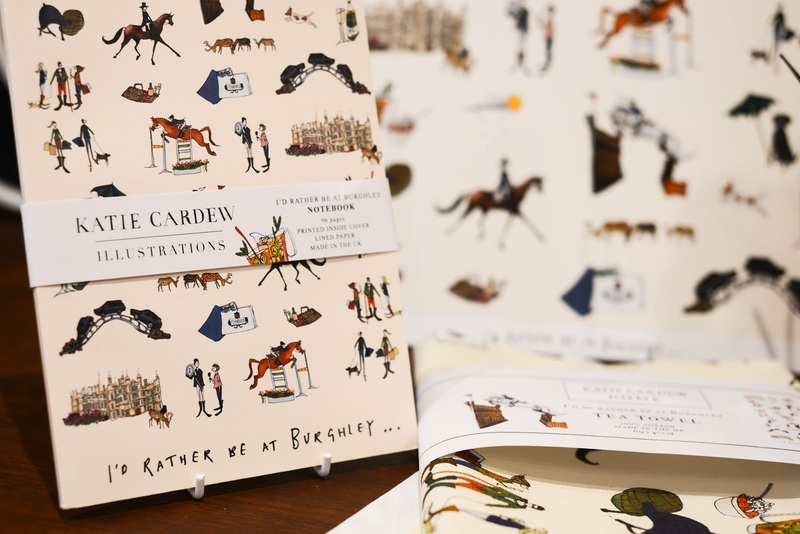 Katie Cardew Illustrations produces fine art prints, homewares and gifts. I am the illustrator, and every single product has been illustrated and designed by myself. I started the business five years ago doing bespoke commissioned illustrations of peoples houses, families and weddings. 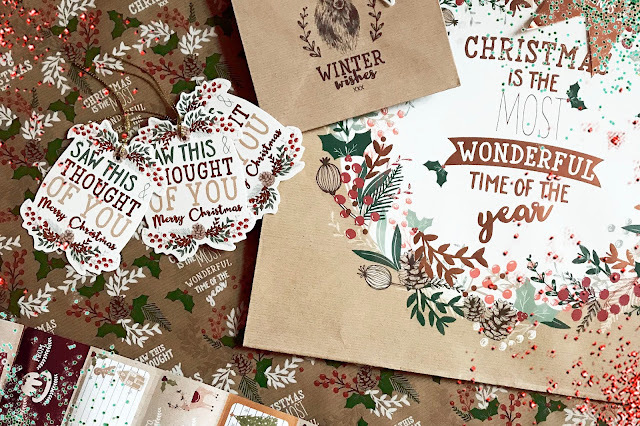 I then started selling a small print and card range which we then ramped up a gear 18 months ago and brought out the full homeware and gift range. We sell lovely, bright and bold products from fine art prints and cards to tea towels, cosmetic bags, oven gloves and many more treats! There is something for everyone and to suit all price ranges. We are very proud that all our products are UK made, many within a 20-mile radius. Our products are all sold via our website, or we have lots of lovely UK stockists too. In just a few years, the brand has grown and grown and seen a lot of recent success and recognition. Please tell us more? Katie: Yes, the last two years has been a pretty fantastic (and knackering) rollercoaster - excuse the cliche! It’s gone from me working from home with help a few days a week to a lovely studio and workshop set up, and lots of members of the team. In 2017 we won the Digital Star’ award at the Small Awards in London and then later that year, we were invited to Downing Street as one of the top 100 Small Biz 100 businesses! Earlier this year, we won the Mercury Small Business of the year award - it’s been so fabulous to get this recognition and makes the late nights worth it! We would not be where we are today without these awards, the local press and magazines and of course, our incredibly loyal and lovely customers - we live in such a wonderfully supportive place. The best selling 'I'd rather be at Burghley...' Collection. 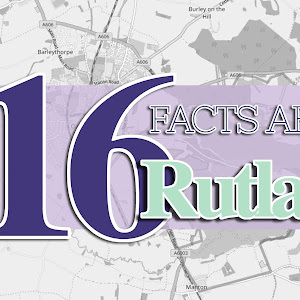 This year, with the help of Rutland Radio and other local publications, you began the design process of The Rutland Map. How did this come about and how did you decide on what to feature on the map? Katie: Yes, so back in June I launched the Rutland Map! It was a super lovely project to work on and one I’ve had in the back of my mind for ages. 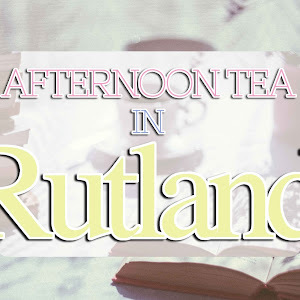 I grew up in Rutland so know it pretty well but decided that the best way to hear about the quirks and features of the county was to ask its inhabitants - so off to Rutland Radio I went! Rob Persani was great - he invited me on his show, and we asked people to submit what they wanted to see on the map. From the Rutland Dinosaur to Bugtopia, Seaton Viaduct to the woolly mammoth fossil, there were some interesting suggestions! I tried to include everything and did pretty well - I think most peoples suggestions made it on! I even managed to get the chap who has his ice cream van parked at Rutland water featured! He was very pleased about this when he came to the unveiling back in the summer. However, the Rutland collection doesn’t just include a map! Tell us more about the Rutland, Stamford and other local collections? Katie: No! So, as well as the fine art Rutland map print, we also have a greeting card, tea towel, notebook in the range and, coming soon, a mug too! 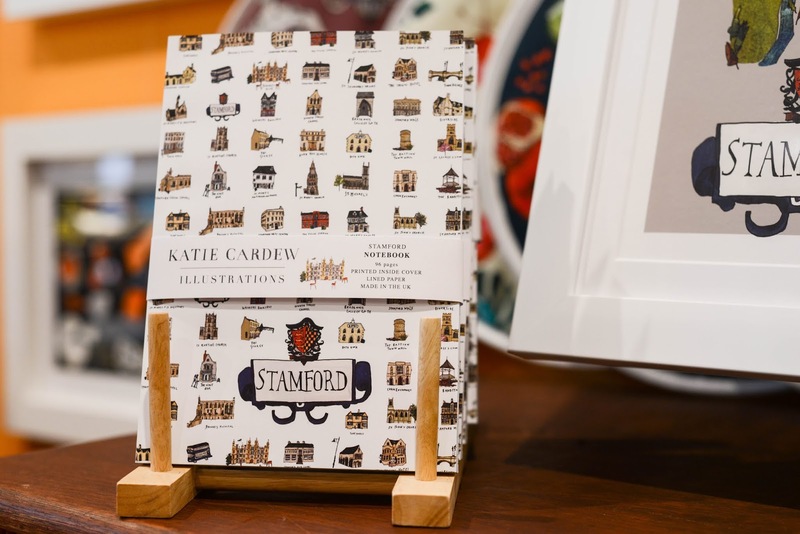 For those who live in Stamford, we sell a beautiful Stamford range, from prints and cards to wallpaper, notebooks and tea towels. The local ranges are still some of our best sellers - people are so proud of our local area. Each of your collections is fun, unique, bold and vibrant. They are the perfect gifts! What is the inspiration behind some of your collections and do you have a favourite? Katie: I have to admit that my favourite changes every time I do a new design! At the moment I love our new Under the Sea range which includes a print and a notebook and hopefully soon a tea towel and cosmetic bag too! I love the diversity of colours and textures of underwater animals - they suit my style! 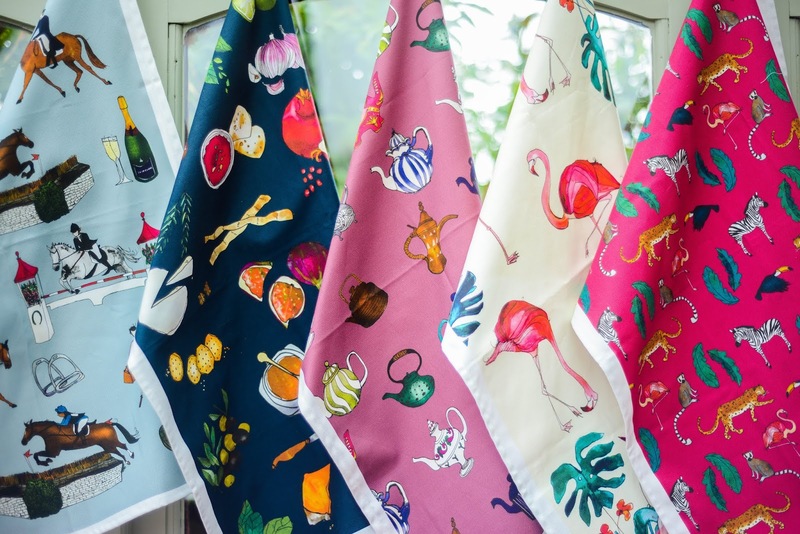 Another firm favourite is the Flamingo range - it’s just so fun and bright! I have the flamingo prints in my bedroom and use the cosmetic bag as my wash bag. The tea towel is pretty lovely too! One of the things I admire about your brand is that as well as creating quality homewares and fine art prints, you also share your talent with commissions and teach your art in your workshop classes. Please tell us more about this side of the business? Katie: Yes, so every few months or so I hold illustration workshops here at our studio. We had a Christmas, and everyone seems to love them! I am always amazed at the results - even people who swear blind they don’t have a creative bone in their body always a produce fabulous illustration! I have never taught before but enjoyed a challenge, and it’s good to do something completely different. As for the commissions, yes I still take lots of bespoke commission work! It’s how I started the business, and five years on I always make time each week to do them. From weddings and families all the way up to large commercial projects for big companies, to date I think I have completed around 1200. I have some really lovely commercial projects booked in for next year and one I am particularly excited about involving the Tower of London! More next year on this! With the product side of the business growing, I still like the fact that I have to sit down each week and draw - I think it could get a bit business heavy if I didn’t always have the commissions booked in. A selection of the KC tea towels. Thanks again for inviting me to see your studio and a 'behind the scenes' look into KC Illustrations! What can we expect to see for the future of Katie Cardew Illustrations and what are your goals for the brand? Katie: Always a total pleasure Charlie! Well, we have lots of plans for 2019… First a rest over Christmas and then back into it with a stand at Spring Fair in February - a humungous trade fair, selling our bits and bobs to shops and department stores! I want to expand the map range - I’ve got a Stamford Map version 2 on the cards (version one is now four years old!) and also a Norfolk map in the pipeline. We would also like to expand the product range - maybe candles, matchboxes, scarfs... The world is our oyster; we need to decide what we want to produce! It’s very exciting to be able to be so flexible! Finally, What does it mean to you to have a business local to Stamford and Rutland? Katie: I grew up here, left for London and then returned! I love it around here - the countryside is beautiful, the pubs are great, Stamford is good for a Saturday night out, and there is always an exciting budding to look at. The people are fab too - as I mentioned before, our local customer base is extremely loyal, and we are so grateful for them for that. It was so lovely to meet with Katie and talk about her brand and the local area. She is an utterly charming and inspiring woman with so many ideas; it's quite infectious! I cannot wait for the Stamford Map 2.0 and I am rather excited about the possibility of the Norfolk map which if you're a regular reader you'll know is my second favourite county. Katie and her family have grown a unique brand that stands aside from the rest with the style, colours and variety. I do love that Katie is open to sharing her talent and tips in her workshops to those who admire her work it shows how she appreciates every single customer who purchases her designs and when you meet her in person, her enthusiasm is apparent. Like Katie said in our interview, her collection has something for everyone and they would make the perfect gift this Christmas. You can buy from a local illustrator and support the local independent high streets to by purchasing from a local stockist like Fords of Oakham or Gates Nursery for example. What better time of year to celebrate all-things local than at Christmas! 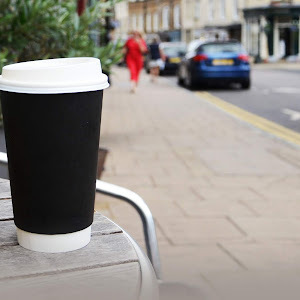 We're surrounded by some of the best independent High Street shops in Rutland and Stamford, and this is the perfect time to spend your money wisely supporting local businesses and keeping the unique shop offerings in Uppingham, Oakham and Stamford alive. So, I thought I'd put together a Christmas Gift Guide featuring some present ideas you can get hold of right on your doorstep! Celebrate Christmas whilst supporting local businesses! 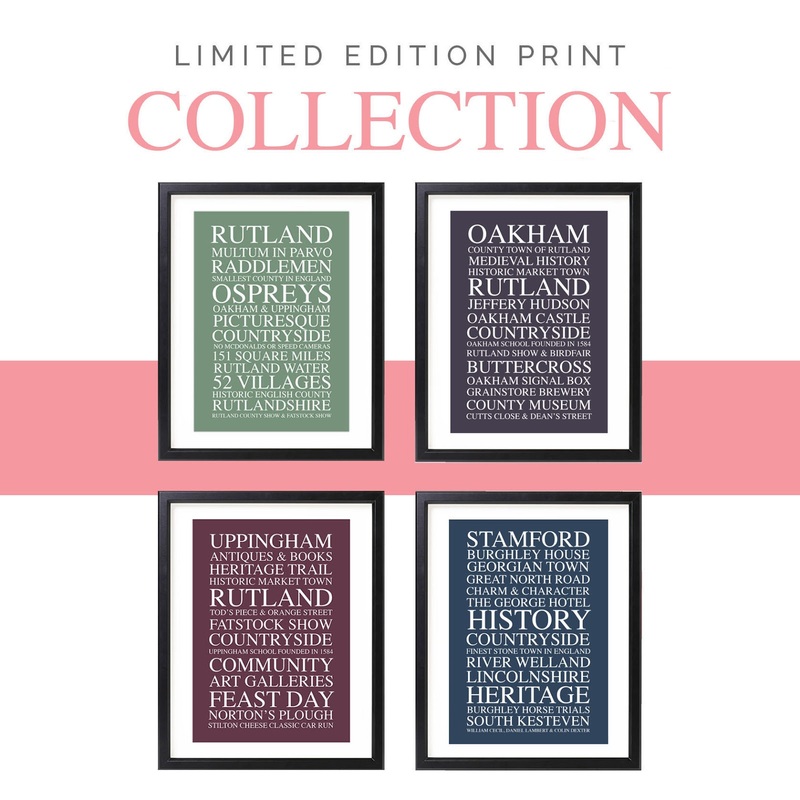 You may remember that last year I launched the Limited Edition Print for Rutland in collaboration with Silhouette Sign Design. Well, I'm pleased to announce that just in time for all the last minute Christmas present that I have now released THREE additional Limited Edition Prints... Oakham, Uppingham and Stamford. Limited Edition Prints (unframed) in celebration of Rutland, Oakham, Uppingham & Stamford by Silhouette Sign Design. Only £12.99 each available from Etsy. So, if you managed to grab some of the Limited Edition Rutland Print's last time, you can add to the collection with the town additions or if you missed out there another chance to grab some again and be in a chance of owning one of the 500! 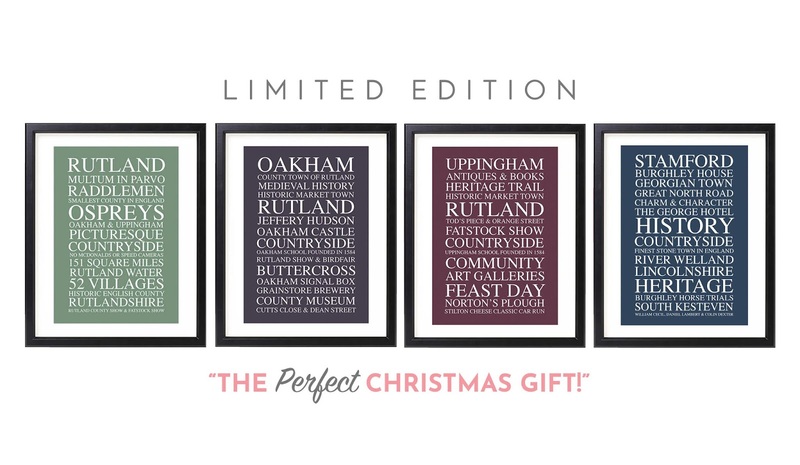 The Oakham, Uppingham and Stamford Prints will also be Limited Edition (500 only), and once they're gone, they're gone. 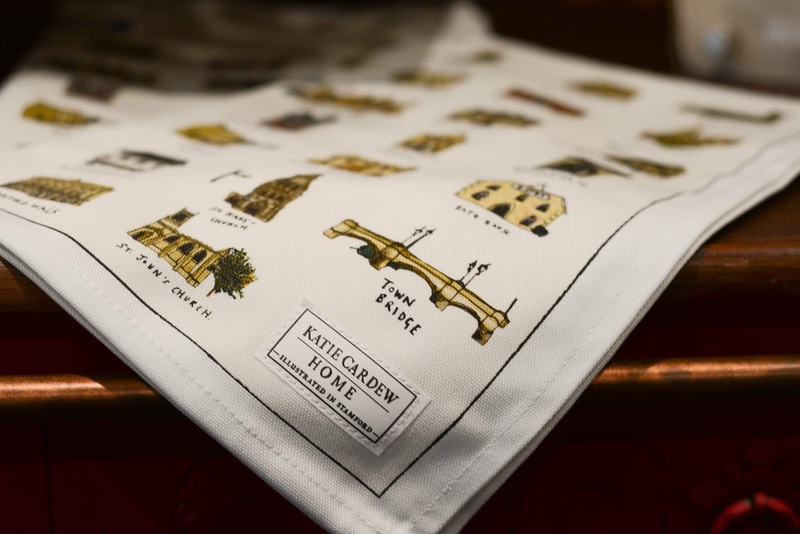 Each print features unique elements of each town and the thing we love about them — while celebrating their history and heritage. I've wanted to make the prints as affordable as possible by offering them at £12.99 each (or purchase all 4 as a collection for only £44.99) so that whatever your budget for Christmas or birthday presents everyone has the chance of getting their hands on one. "The perfect gift this Christmas"
The Limited Edition Print Collection only £44.99 available on Etsy (unframed). A local business owner, a mother and someone who wanted to show the world that there is very much two sides to living with a disability. Meet Tree Gillions of Tree's Home Help, a home support and cleaning company in Rutland. A few months ago, Tree approached me and Anna Hughes from Colourful Soul in Oakham to ask for our help in a charity project she wanted us to help her bring the idea to reality. As well as the blog, I also run a design, photography and media management company called Rutland Creative and Tree asked if I would be happy to donate my time to photograph her naked for the project we later called #MyHiddenPain. 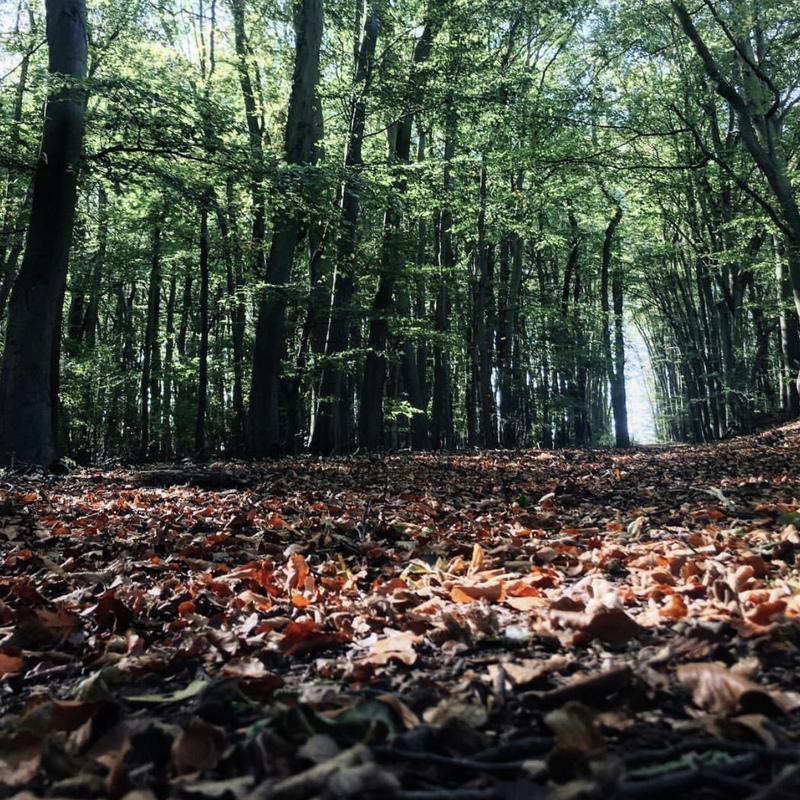 When Tree explained the project to me, I immediately expressed my interest and wanted to be part of this wonderful movement to hopefully show that anyone can be suffering from a hidden illness however beautiful, successful or influential and in fact, that might just be the secret behind their motivation, inspiration and determination. The reason I wanted to be on board with this project so much is that although not a disability, I suffer from a hidden illness that people are very surprised to learn that I have, called Bipolar Disorder. Somedays I'm good and some days not so much, but I never wanted to let it define me and although I used to hide the fact I've suffered with mental health issues since my early teens, I am now proud of what I've overcome with my illness and the person it has made me today. Fundraising for Scope charity with a target of £500. "When I came up with yet another random idea, I never hoped that two beautiful people who I now call friends would want to help me to bring my crazy idea to life in what you finally see today. The reason behind these images was never to gain sympathy or because I’m an exhibitionist but merely to provide a visual snapshot into my life and everyday struggles I face due to my Cerebral Palsy and to show that living with a disability is not a barrier. For those of you who don’t know me well, I run Trees Home Help, which is a small home support business based in Rutland. I also have Cerebral Palsy (left hemiplegia), a disability I was born with and one I have grown to love. However, despite the fantastic opportunities it has given me, It has a dark, painful, frustrating and - to be honest - a real crappy effect on my life! My struggles with my disability are not always visible to people who do not know me well. So, that is why I created #MyHiddenPain which I hope is a powerful piece of art that will help you visualise my struggles and see that despite my day-to-day life as a home support business owner to not judge a book by its cover. The colours used are to highlight my different levels of pain that I suffer from daily from mild (yellow) to severe (red). The words painted across my body are to describe the pain and to help those viewing the image understand what it feels like. But in contrast to that, there is also a selection of words which show my positivity and determination that although I have a disability, that doesn't hinder who I am or what I can achieve. But in fact, It makes me who I am, and I am very proud of that. 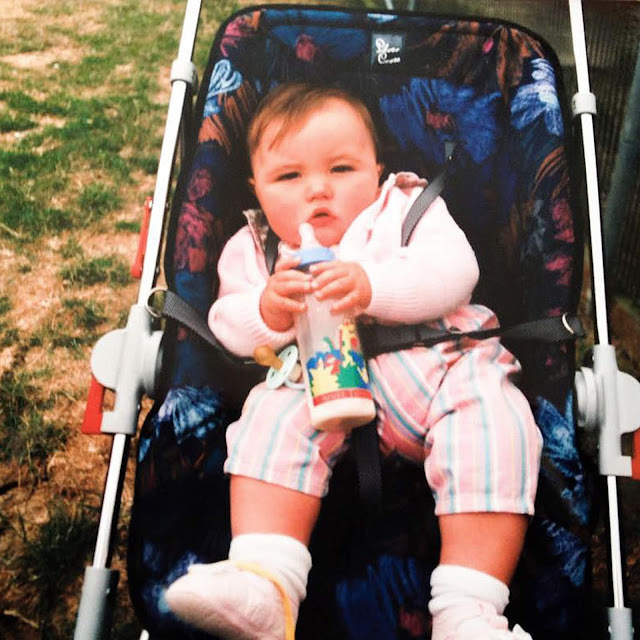 I recently read a heartbreaking post on Facebook, from a Mother who had to explain to her 3-year-old daughter that she would always be disabled with Cerebral Palsy even when she thought she would get better once she was all grown. The little girl was distraught and felt her life was over. Reading that post broke my heart. To think that someone so young could feel that way because of a disability they are so sad to realise they will live with forever... But this also inspired me. With #MyHiddenPain, I wanted to show that there are positive sides to a disability and hearing the story above was the main reason I decided to do this and to show that whatever your illness or disability you can still achieve so much and trust me, there are many positive too. I hope my pictures will give people an insight into the hidden pain or suffering that millions of people face every day, and hopefully, it will teach us all to be slightly more understanding and not as judgemental. 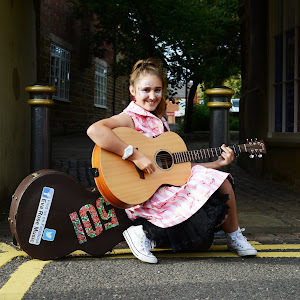 I want to thank the wonderful Charlie Pallett of Rutland Creative (also The Rutland Blogger) for photographing the images, and to the very talented Anna Hughes of Colourful Soul for making my ideas come to life. Thanks also go to all the generous #MyHiddenPain sponsors Love Life Eat Cake, Inviting Writing, The Rutland Blogger and Leanne Martin Massage. Without the support of these local businesses, none of this would have been possible. Please give anything you can to the #MyHiddenPain project, whether that be £1, £5, £10 or anything else to help towards the £500 target! All money raised will be donated to Scope who's work helps to ensure people with disabilities have the same opportunities as everyone else. Founder of Tree's Home Help"
It was an honour to support my friend in her bravery in baring all for an amazing charity and to raise awareness that hidden illness are all around and you never know what anyone is suffering or dealing with behind the scenes. Therefore, I would love if you could donate anything you can spare to the #MyHiddenPain charity fundraising page for Scope and help Tree towards here £500 target. It's finally here and it's my favourite month of the year... December! 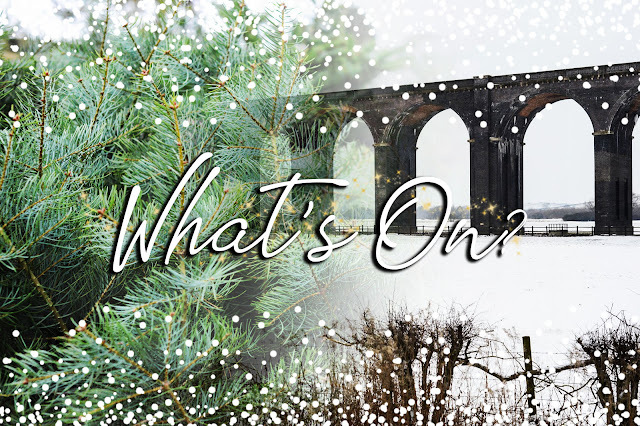 Prepare yourself for a fun-filled 'What's On Guide' this month with plenty of things to do around Stamford and Rutland this Christmas time with everything from wreath making to film nights and much, much more! Please Note: More information regarding promotions and events will be added as we hear about them! Bookmark this page in your internet browser so you can pop back to it throughout the month and find out what to do! About: Come and visit Santa on his sleigh every Saturday in December. A really personal experience with Santa where children get to sit Santa's sleigh with him and be given a special present by Santa himself! All family members welcome along and take your own pictures too! About: Join in the festivities from 11am-3.30 and 4-7pm (bring a torch!). With complimentary mulled wine & mini mince pie, there's lots of fun to be had for all the family. About: A full weekend of events with entertainment for all the family begins on 30th November. In addition to market stalls, entertainment and fayre activities, Melton St Mary's Church will be holding their annual Christmas Tree Festival and a Festival of Cribs takes place in Sage Cross Methodist Church. About: POP-UP Christmas Arts and Crafts - Free entry in the Victoria Hall Allman Gallery. About: YOU are invited to join in the fun from 1-4pm! Visit Santa in his woodland chalet, play fun games & tombolas to win prizes, buy Christmas gifts, create festive craft items, feast on hot dogs & homemade cakes, enjoy mulled wine and mince pies while raising valuable funds to further enhance our school. We have turned the music chalet outside into a special Santa's grotto! A visit to Santa is just £3.50 and includes a small gift. All profits raised will go to enhancing the school. About: A chance to run/walk/stroll a choice of circuits round the rugby fields (subject to ability) in a Santa Suit, raising money for your own choice of charity or for Rotary and it's good causes. Participants keep their suits, a medal and can enjoy a mince pie and mulled wine after. Bar and club facilities fully available. Best decorated buggy and Toddle Waddle at 10.30am. About: Create your very own Christmas Wreath with full instruction, tools, and materials supplied by our professional florist, Included in the price is a glass of Prosecco and Christmas nibbles. Two 2 Hour workshops available 2pm-4pm & 5pm-7pm. This is a charity fundraising event organised by Ketton School PTA. Contact Ketton School for Tickets. all proceeds over the video license fee will go to Exton Village Hall improvement funds. About: Join Oakham Town Council through the afternoon. 4:00pm: Switch on of the new Christmas tree by two special girls. About: An evening of music and singing with readings by well-known celebrities from sport, the stage, and screen to raise money for the NSPCC. Doors ope 6.45. All to be seated by 7.20, please. Tickets on sale from Don Paddy’s Uppingham or James Sellicks in Oakham. About: Charity concert for fixing the roof at Greetham Church. About: Mama Mia Here We Go Again is being shown at Laxton Village Hall. Freshly brewed coffee, refreshments, and a licensed bar will be available. About: A musical play adapted and directed by DAVID WOOD, based on the book by JUDITH KERR Direct from a smash hit West End season, The Tiger Who Came to Tea returns to the stage, celebrating 50 years of Britain’s best-loved picture book! The doorbell rings just as Sophie and her mummy are sitting down to tea. Who could it possibly be? What they certainly don’t expect to see at the door is a big, stripy tiger! Join the tea-guzzling tiger in this delightful family show; packed with oodles of magic, sing-a-long songs, and clumsy chaos! A stunning stage adaptation of the classic tale of teatime mayhem... expect to be surprised! David Wood OBE is undisputedly the country’s leading writer and director of plays and musicals for children. About: Join Uppingham School staff and students in a seasonal celebration of this most wonderful time of the year. Expect your favourite Christmas songs, sing-a-long carols, festive instrumental solos and a mince pie to top it all off! About: Food markets with a difference! Come and meet over 30 local suppliers at our biggest ever 4-day festive celebration of local produce. With handmade cheeses, artisan bread, organic vegetables, luxury sweet treats, and rare breed meats. About: Festive family fun in the market town of Uppingham. 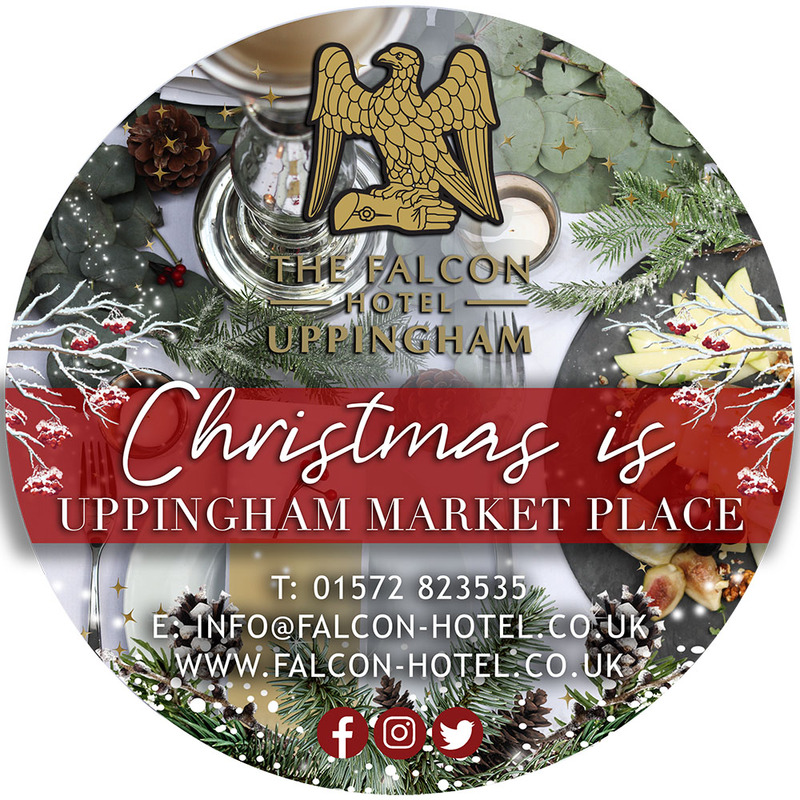 You'll get to enjoy a skating rink, street entertainers, market stalls, live music, a Christmas show, choirs, hot food, face painting, Santa's Grotto, reindeer, competitions and lots of gift ideas because many of Uppingham's local stores will stay open late for Christmas shopping! About: Cheeki Monkeys Oakham will be hosting a pop-up shop at Mini Monsters, selling pre-loved baby and children's clothes to raise money for Children's Links, which provides support to children and young people in need. There will also be some festive craft activities on offer suitable for babies and pre-schoolers. About: Relax and enjoy a Christmas Craft Workshop at Oakham Methodist Church, Northgate. Tea, Coffee & Mince Pies, Sales Tables, Christmas Music. All Welcome! About: This month our Coffee Morning and Community Shop will also include a Christmas Bazaar. There will still be our usual variety of cakes and bakes for you to enjoy in addition to some seasonal extras. Bacon rolls, mince pies and mulled wine. About: Santa in his Grotto from 11am, to 3 pm (with a short lunch break about 12.30) with gifts for our younger customers. There will be lots of Christmas goodies and local crafts for sale, plus Christmas hamper raffle, mulled wine, coffee, delicious homemade cakes, and snacks. A warm welcome to everyone! About: Christmas Fair held in Ketton School. Visit Santa, win on the Tombola and many other Christmas favourites. Organised by Ketton School PTA. About: Melton's lively community World Music choir is looking forward to returning to the refurbished St Mary's Church in Melton for its popular Christmas Concert. About: “ In Dulci Jubilo” is a concert of seasonal music including works by John Rutter, Harold Darke, and Elizabeth Poston. It is on Saturday 8th December at 7.30pm at All Saints’ Parish Church, Oakham. Tickets are £10 and are also from Colemans Stationers and on the door. The ticket price includes mulled wine and delicious refreshments after the concert. Our chosen charity for the year is East Midlands Immediate Care Scheme and a collection will be made in their support. There will be some amusing pieces, a male chorus, along with duets, readings and plenty of opportunity for the audience to join in with some much-loved carols. It is shaping up to be a wonderfully happy and festive evening and a lovely start to the Christmas Season. About: Join us for our gorgeous Christmas Stamford Quality Market at the beautiful Stamford Arts Centre. Lots of beautiful gift ideas from scarves, jewellery, candles, soft furnishings, toys, food and so much more. A great place to buy some unique Christmas gifts and all from local sellers. Support Small Businesses - Buy Local this Christmas. Well Behaved Dogs Welcome. About: A celebration of all things Christmassy in poetry and prose from Charles Dickens to John Betjeman, via Alan Coren and Dr Seuss - readings that are both funny and moving. Favourite Christmas carols to join in. Great fun for a dull Sunday afternoon and guaranteed to get you into the mood for Christmas! Tickets from 01572 747381. Includes mulled wine and mince pie. Heated church. Unreserved seating. A fundraiser for Morcott Church. About: Festive family fun in Oakham with market stalls, Santa's Grotto, live music, carol singing, arts and crafts, fun fair and a chance to do a bit of late night Christmas Shopping in the local shops! About: Seaton Starlights present Monty Python’s ‘Spamalot’ from December 12th -15th, including a matinee at 2.30pm on Saturday 15th at Uppingham Theatre. Come on this hilarious journey where you will join King Arthur and his brave (and not so brave!) knights, in their quest to find the holy grail. For tickets contact Lee on 07766582828, www.wegottickets.com, or Uppingham Sports and Books. About: Five years after the events of Mamma Mia! (2008), Sophie learns about her mother’s past while pregnant herself. About: Meet Sayeh Stone, Rutland Radio presenter and author of 'Shaped Animals'. Sayeh will be reading her fab new picture book 'Snotty Santa' to young children, followed by some Santa-themed crafts. Ages 2-7 years. FREE but tickets required - available from Oakham Library. All children must be accompanied by an adult. About: More than 20 stalls of high-quality gifts, made by local makers, crafters and artisans - all based in and around Stamford. Get your Christmas shopping cracked while supporting local independent businesses. Organised by a team of local Etsy sellers. About: Join us for a festive evening at the beautiful Normanton Church. £10 per person, to include a mince pie and mulled wine, and free parking in the main car park. Tickets are selling fast, to book yours call Sue on 07757 975088, or alternatively call into Berridge Taxis, Long Row, Oakham. About: Put on your Christmas jumpers and join us for a family festive day of Christmas crafts, cupcake decorating, festive activities and a delicious afternoon tea for you and the children. (Afternoon tea needs to be pre-booked. )Afternoon teas can be viewed and booked through our website shop. If you do not fancy an afternoon tea then why don't you just join in with the crafts?! About: Rutland Cycling's charity Santa ride is back again this festive season on Sunday, 16th December at 10.00 am. Suitable for the whole family. Join us for a steady pedal at Rutland Water, from Giant Store Normanton to Whitwell for refreshments, then back to Normanton. All proceeds going to Sue Ryder Thorpe Hall Hospice Charity. Fancy dress is optional but encouraged with prizes up for grabs for the best fancy dress and best-dressed bike. Family ticket only £5. Bike hire is also available at only £5 (advanced booking only). About: The Cricket Club Bingo is renowned for giving out good prizes & this is will be no different. About: Traditional festive cheer returns to Oakham Castle. Join us for a Dickensian inspired Christmas weekend. Paid entry with free activities crafts and entertainment. Santa will be back with real reindeer. You will be transported to a Victorian parlor, where Mr. and Mrs. Fezzywig will invite you to join their Christmas party. There will be games and old-fashioned toys to play with beneath the glittering real tree, mulled wine, crafts and plenty of things to dress up in! A nostalgic trip into a bygone world...All set in the stunning medieval Great Hall. Witham Wines is an artisan winery and makers of sparkling wine, ran by the Ruigrok family in South Witham, Lincolnshire, which is where their beloved elderflower used to create their signature alcoholic beverages is also harvested. Today, Witham Wines are excited to announce their new product exclusively on the blog... As I'm equally excited to announce that I am one of their Brand Ambassadors alongside local chef and former Masterchef contestant, Simon Spooner and local wine journalist and enthusiast, Jess Lamb. Witham Wines have spent month perfecting their product and the latest addition to their line, an alcoholic Witham's Sparkling Elderflower Infusion made with English spring water. Produced in their Lincolnshire Winery at a respectable 3.5% ABV and is also Gluten Free and Vegan. 'Infused with Love' Sparkling Elderflower Infusion by Witham's (Witham Wines) launches throughout Lincolnshire Cooperative stores this week. 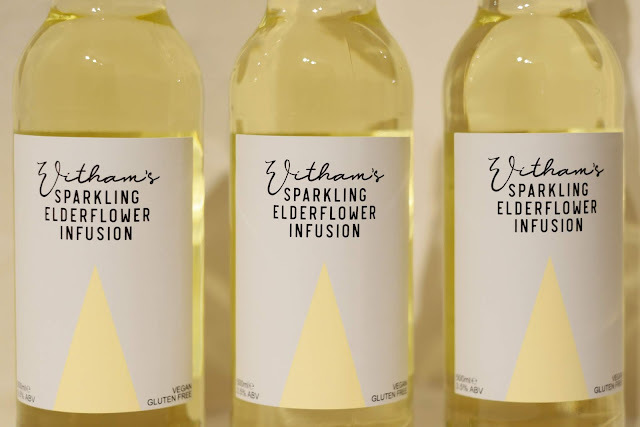 Witham Wines launch Witham's Sparkling Elderflower Infusion. Nestled in the heart of the village of Brentingby near Melton Mowbray is something quite unexpected... But it's where you'll find the Brentingby Gin Distillery. 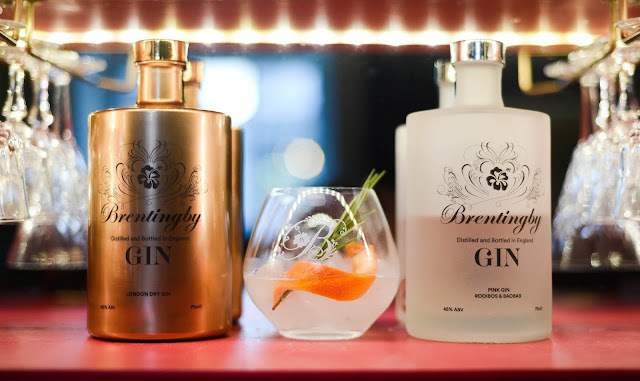 Brentingby Gin is unique and a true craft gin. Handcrafted and produced in Brentingby created by gin-lover, Bruce Midgley. Brentingby Gin has already made its mark on the nation and is a favourite of some of the UK's biggest celebrities. Bruce has put his heart and soul into creating a fantastic gin to differ from the rest and it certainly does just that! 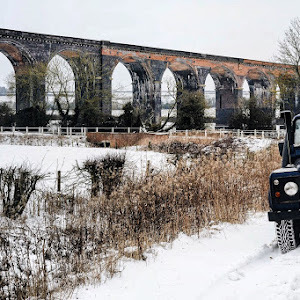 Produced locally in a picturesque village near Melton called Brentingby. The Rutland Poppy Project has brought the local community together to create 10,000 ceramic poppy sculptures commemorating the 100th anniversary of the end of WWI. Each poppy, which has been handcrafted by a someone from the Rutland community who volunteered to participate in the project, has now been arranged at Oakham Castle in an eye-opening display inspired by the original work by Paul Cummins at the Tower of London. 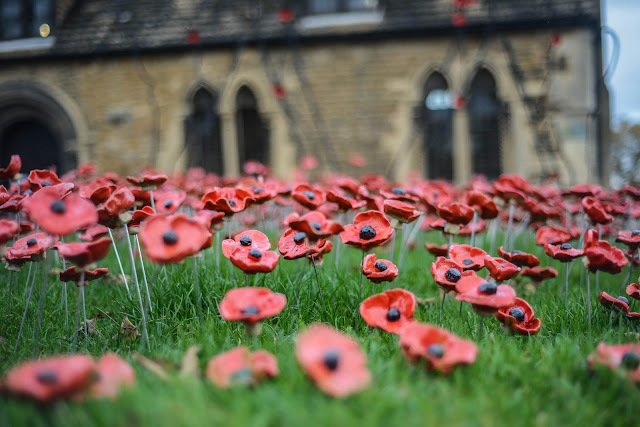 The Rutland Poppy Project of 10,000 handcrafted poppies on display at Oakham Castle. The Christmas activities are slowly creeping in and there is lot of autumn/winter events on around the county this month with craft fayres, music events, film nights, remembrance services, performances, charity stalls, tree dressing, wreath making and much, much more! One of my favourite occasions of the year is definitely Bonfire Night on 5th November. It's an event we always looked forward to as a family whilst growing up and occasionally we even hosted charity firework evenings of our own. This year I thought I'd put together a guide of 'What's on' around Stamford and Rutland in the theme of the 5th November whether that's fireworks, productions or bonfires so you can make plans with your family and friends. 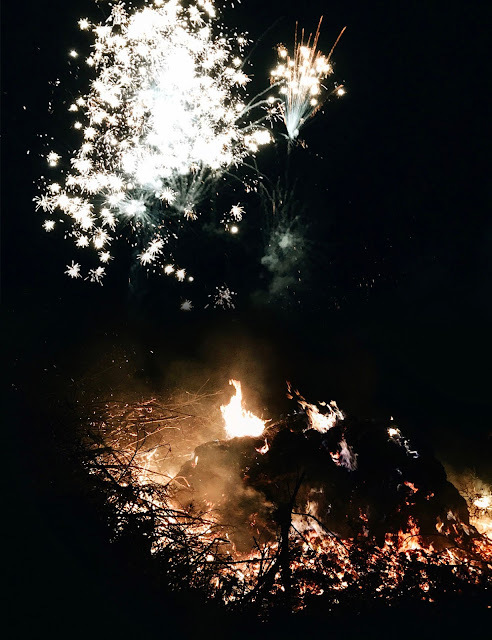 About: Whissendine CE Primary School Parents Association is holding its annual Bonfire and Firework Spectacular on Friday 2nd November 2018 at Whissendine Sports Club, Melton Road, Whissendine. Gates open at 6pm. Bonfire lit at 6.15pm with fireworks starting at 7pm. Hot & cold refreshments will be available including licensed bar & BBQ. Tickets purchased in advance Adults £4 Children £3. Gate price is £5 (any age). Under 3's go free. Tickets can be purchased from Rutland Toy Store in Oakham and Whissendine Mace Convenience Store in Whissendine from the 12th October. This event is being sponsored by Stapleford Park Hotel. All proceeds to go to Whissendine CE Primary School. Strictly NO Sparklers. Parking is limited in the village and parking restrictions around the sports club will be in place for safety reasons so please park carefully around the village and allow time to walk to the Sports Club. About: Bonfire, fireworks, BBQ, drinks and more! Dogs welcome too! About: Rutland Lions host their annual firework display on Saturday 3rd November 2018 at Oakham Rugby Club. As usual, there will be two displays, the first starting at 7pm, slightly less noisy and intended more for younger spectators, the second at 7.45pm, a fully choreographed display with big bangs and bright skies for all spectators. The usual barbecue fayre of hot dogs and burgers will be provided, and the rugby club bar will be open for all types of refreshment. The magical lightsabers will also be available for all those budding Jedi out there. Entry remains at £6 on the night for everyone over 5 years old, however both single and family tickets can be purchased in advance, £5 for everyone over five years old, £16 for a family of four and £20 for a family of five. Tickets will be available from Fords of Oakham and from Uppingham Sport & Book. Please note that family tickets will NOT be available on the night. Please note that dogs will NOT be granted entry to the Showground, and we respectfully request that children do not bring sparklers. About: Enjoy live music, fairground rides, and a superb firework display on 3rd November as the Peterborough Firework Fiesta sponsored by Britannia Fire & Security returns for 2018. Watch the spectacular display of fireworks by Titanium, the company behind national celebration fireworks such as the Commonwealth Games and New Year displays in London and Edinburgh. There’s great family entertainment to enjoy with live music, food outlets, fairground rides. About: Join us on the evening of Saturday 3rd November to enjoy a beautiful autumn evening. Warm up with a Bailey's Hot Chocolate whilst watching a firework display by the wonderful MLE Pyrotechnics and toast your toes on our bonfire! Gates open at 5.30pm for music entertainment and food from our outdoor kitchen including hot dogs, burgers, toffee apples and much more! Refreshments for both the little ones and adults will be available too. Bonfire from 6pm and fireworks start at 7.45pm. About: A spectacular bonfire event that draws crowds to what is regarded as the region's finest fireworks display. As well as a truly giant-sized bonfire, the evening includes children's entertainment, hot food and mulled wine. It takes place at Stamford Welland Academy, Green Lane, Stamford on Saturday, 3rd November. Gates open at 5:00 pm bonfire lit at 6 o'clock followed by a massive fireworks display starting just a little later. Free Parking. No sparklers, please. Bring all the family to enjoy a memorable and spectacular fireworks display. Entrance £5 Adults, £2 children. Proceeds distributed to local charities. About: A fantastic night out for those who want a bonfire night celebration with a difference. The Gunpowder Plot returns to Boughton House in November 2018. Witness a spectacular re-telling of the events of the 5th of November 1605 with large-scale projections, breathtaking theatrical performances, and a dramatic soundtrack, all rounded off with a stunning firework display over the grounds of the stately home. This promises to be an explosive night out for the whole family, not to be missed! Back with a bang after one year off, the completely reimagined show will have an all-new soundtrack, script, performance, and animation. It’ll be staged in the grounds of Boughton House on Saturday 3rd and Monday 5th November. About: Tickets will be on sale from Cottesmore Village Shop from around two weeks before the event. Gates Open 16.00. All timings and attractions subject to weather conditions. Bonfire, fireworks, refreshments, sparklers, stalls and more. About: The 2018 event will take place on Sunday 4th November 2017 on the Oval. Gates open at 6pm and the bonfire will be lit at around 6:10pm and fireworks will start at 6:30pm. We will have a competition for the best ‘Guy’ and there will be drinks to buy. Please donate generously as you possibly can on the night. About: Fireworks Display, BBQ and Stalls. All welcome! 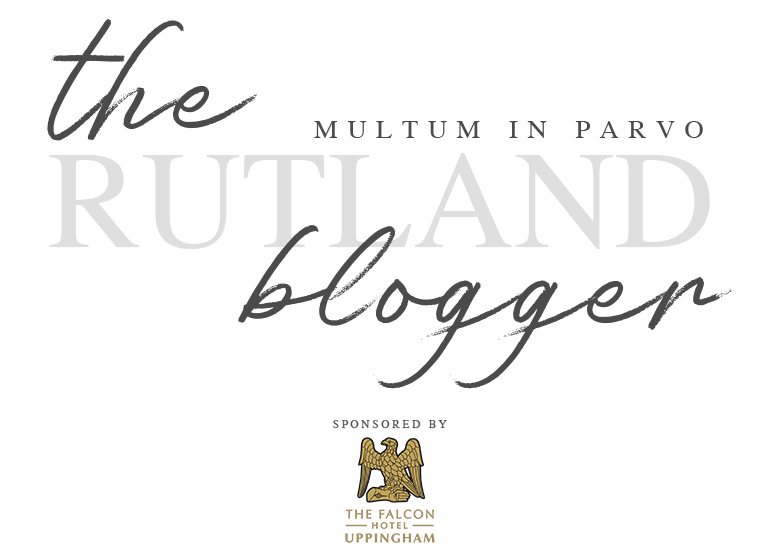 Who is The Rutland Blogger? As the Snow hits Rutland! The Rutland Blogger © . Designed by Templates by Kate.